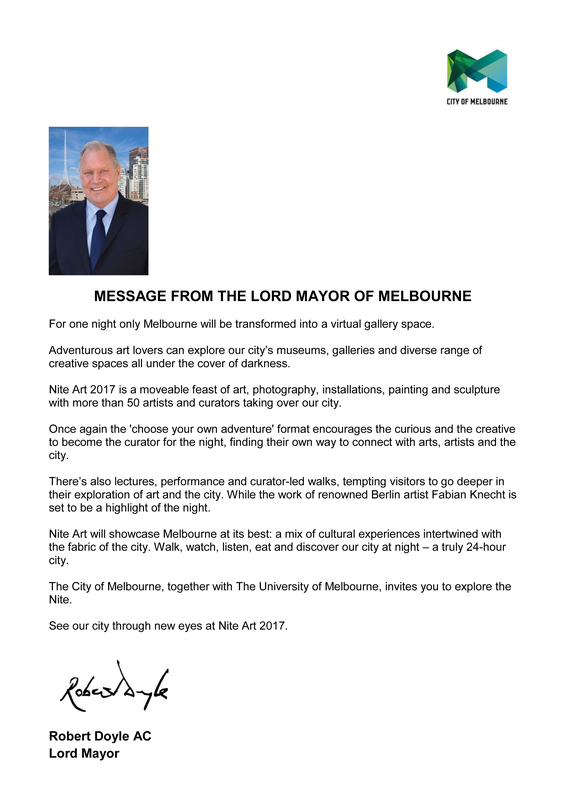 On Thursday 27 July, Melbourne once again opens late for art. Explore our city at night, through a network of galleries, museums, artist run initiatives and undiscovered spaces. This year Nite Art has evolved once again, tempting visitors to go deeper in their exploration of art and the city, with curator led walks, talks and performance. Find your own way and follow the beat of the night. Or let our Art Navigators guide you. With our partners, the City of Melbourne, the University of Melbourne and Open House Melbourne, Nite Art presents the work of more than 50 artists across three precincts - Arts , City Central and University. At the University of Melbourne, see the preview of the inaugural exhibition at the new Science Gallery. Exclusively for Nite Art, Science Gallery has invited US artist Jordan Eagles to host his world renowned blood projection work, Illuminations, previously shown at the High Line in New York. Or be captivated by the Free Music Machines created by the eccentric Percy Grainger inspired by the undulating movements of the sea in collaboration with Liquid Architecture and students from the VCA. See Berlin-based artist Fabian Knecht present a lecture performance challenging what constitutes space for art, witness start actions in an age of heightened risk with Mick Douglas and mmmm…collective from Spain. Discover emerging and established artists working with a range of mediums, including painting, photography, video, film, installation, sound and performance. Art lovers seek. As the curious explore. And night seekers celebrate. An incorporated not-for-profit, Nite Art was formed in 2013 to make art more accessible, collaborative and engaging for new and broader audiences via an innovative event and digital platform. As part of a wider global dialogue there is an opportunity to create new conversations about Melbourne’s cultural identity via greater collaborations, connectivity and immersion. 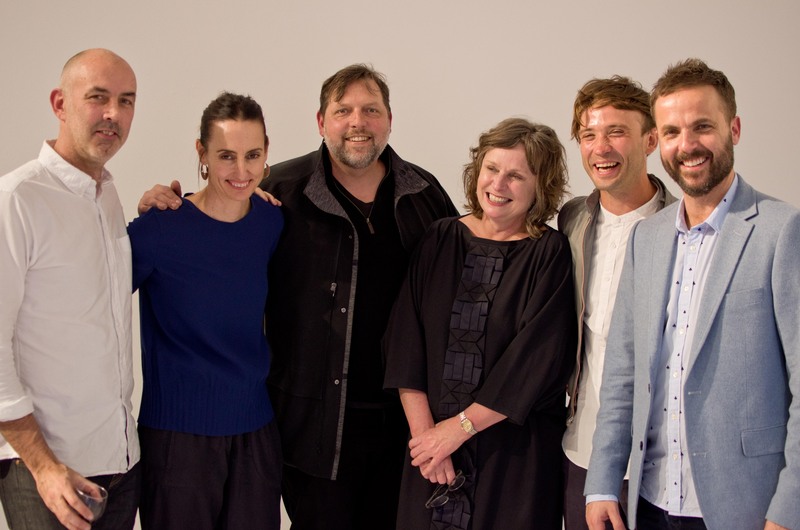 Left to Right Jason McQuoid, Andrea Nixon, Andrew Ashton, Deborah Stahle, our international visiting artist Fabian Knecht from Berlin and Todd Beavis.